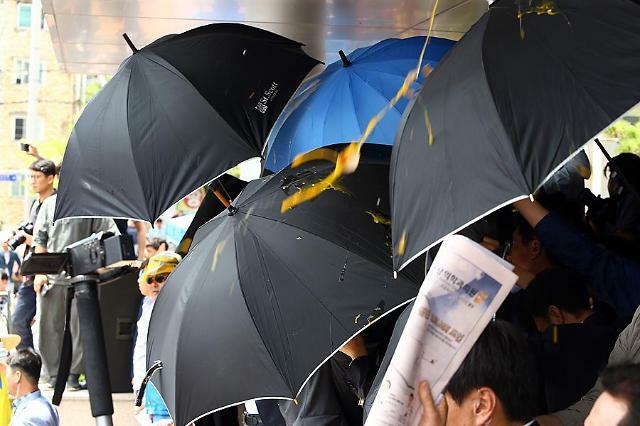 Hundreds of angry villagers pelted South Korean Prime Minister Hwang Kyo-ahn with dozens of eggs and plastic water bottles Friday in a protest at the controversial deployment of an advanced US missile system aimed at intercepting North Korean ballistic missiles. The protest erupted when Hwang visited the town hall of Seongju, about 219 kilometers (130 miles) southeast of Seoul, where the Terminal High Altitude Area Defense (THAAD) system will be deployed. 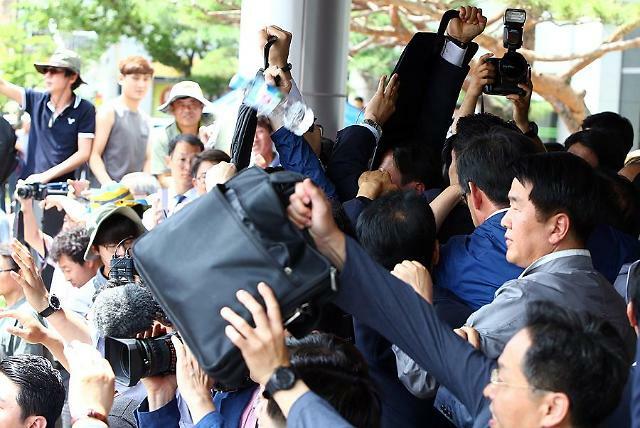 Standing on the porch of the town hall, Hwang apologized and promised to ensure that the safety and health of residents would not be hurt by strong electromagnetic waves coming from the THAAD radar. But Hwang's speech was interrupted with a volley of eggs and plastic bottles hurled by the villagers who argued that their town would be the target of North Korean attacks. 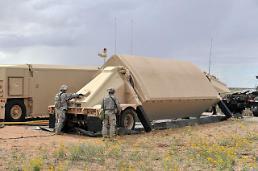 They urged the government to retract its decision to place a THAAD battery in their village. 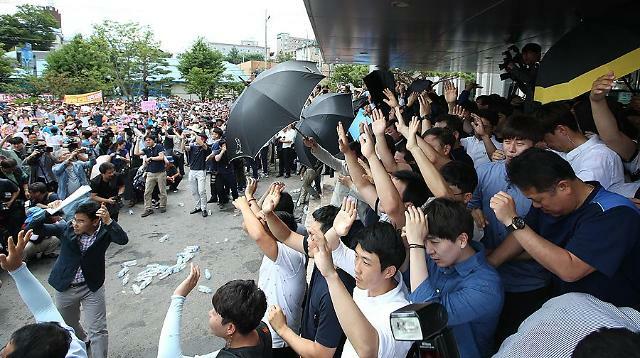 Security guards and government officials used umbrellas to protect Hwang while riot police formed human barricades to prevent any further violence. The protesters, led by an agricultural tractor, stopped Hwang's departure aboard a minibus, trapping him inside for hours. Describing Seongju as a geographically "ideal" place to house the US missile shield and intercept North Korean ballistic missiles, military officials stressed the selection reflected military effectiveness and the safety of residents as well. The THAAD battery in Seongju will be able to guard up to two-thirds of South Korea's territory, he said, adding the capital area would be protected by Patriot medium-altitude missile interceptors. Some 28,000 US troops are stationed in South Korea under a mutual defense pact dating back to the 1950-53 Korean War. The two Koreas are still technically at war with no peace treaty signed.